The World's Most Nutritionally Complete Food! 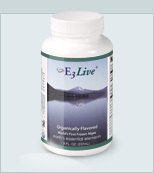 E3Live� - The World's First and Only Fresh-Frozen 100% Aphanizomenon flos-aquae (AFA) the "Invisible Flower of the Water." This is the most nutrient dense whole food on the planet. In terms of nutritional content you cannot do better than this. All the other E3 products are extracted from AFA itself and concentrated to form those products for more effective specific benefits. E3Live is Certified Organic and Kosher, arrives "alive" in frozen form, thaws out in refrigerator is shipped in quantities of four or more (up to 8 month supply), to ensure that it arrives to you in its freshest state. 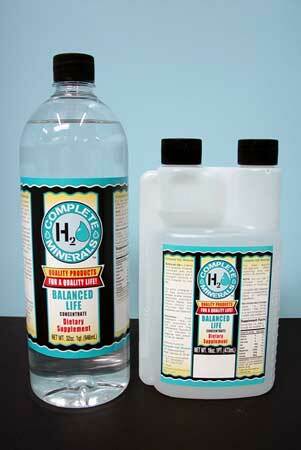 When you purchase E3Live� we will include a free bottle to offset the shipping costs. This past weekend at the San Francisco World Veg Fest Weekend, it was announced that E3Live� has won first place for "Best Superfood" in the VegHealth Awards, sponsored by the Vegetarian Health Institute! We want to thank you for voting for us! "...On behalf of myself, my co-owner & CEO, Tamera Campbell, as well as our entire company, I want to thank you from the bottom of my heart for this wonderful award of Best Superfood for E3Live�. 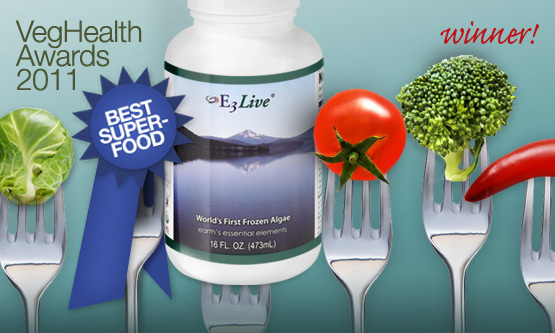 E3Live� is a nutrient dense aquabotanical with and is the world's first and only fresh-frozen Aphanizomenon flos-aquae, or AFA for short. 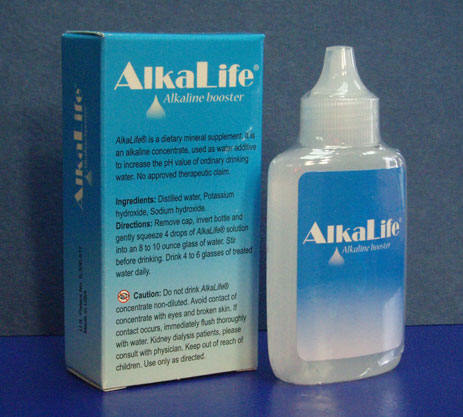 AFA can only be harvested from the pristine waters of Upper Klamath Lake in Oregon. Nutritionally, E3Live� provides 65 easily absorbed vitamins, minerals and enzymes and has more biologically active chlorophyll than any known food. We are stewards of the earth, humble caretakers of this precious gift of God and Mother Nature, we harvest the AFA in an organic and sustainable way so you and your family may enjoy the best health possible today and for many generations to come. We strive for the best quality and nutrition and this award is very meaningful to us, since it comes from such a health-minded and discerning audience. Just knowing how many people love E3Live� really inspires us to continue on this amazing journey of bringing you wonderful nutritious products. Thank you again to the Vegetarian Health Institute and to all the voters for this award, we are deeply honored." Suggested Use: Keep frozen until ready to use, then place bottle in refrigerator to partially defrost. For immediate defrost, place in cool water for 15 minutes. Pour off the thawed portion (enough for a 7-day supply). Place remainder of bottle back in freezer until ready to defrost again. 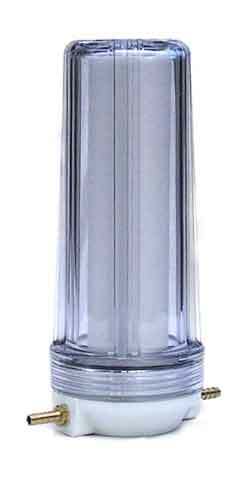 Start with one teaspoon per day, followed with an 8 ounce glass of water, then slowly increase to 1 Tablespoon per day. Important: When defrosted, E3Live� must be kept cold and refrigerated at all times to prevent spoilage and maintain freshness. 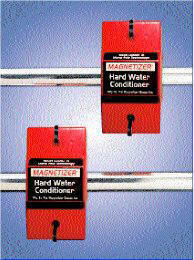 Shelf life in a refrigerator is 7 to 10 days. It is shipped to you frozen which is its natural winter state when the lake is frozen, so keep it frozen (its natural state) until you are ready to use it. Then thaw out enough for a six day supply. 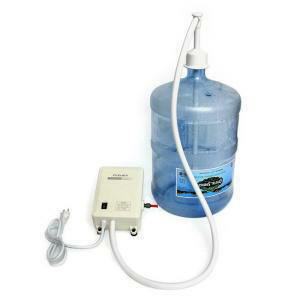 Then use from that six day supply and store it in the refrigerator for daily use. If you are pregnant or nursing, consult your healthcare practitioner prior to use. Do not use if safety seal is broken. The species of blue green algae known as AFA (Aphanizomenon flos aquae, Greek for "invisible living flower of water") is among the most nutrient-rich foods on the planet. E3Live provides the full nutritional wealth of AFA in a frozen, liquid form, preserving even its most fragile nutrients and delivering its whole food goodness in the most natural state possible. AFA contains more vitamin B12 and chlorophyll than any other food�with three to five times more chlorophyll than wheatgrass�and is one of the highest sources of assimilable complete protein. It also provides high amounts of beta-carotene, a full spectrum of minerals, and 11 pigments, some of which are precursors to other vitamins, enzymes, and co-enzymes. It has a particularly beneficial impact on brain functioning and synchronization, as it contains a significant amount of choline, and it especially enhances the hypothalamus, pineal, and pituitary glands. People taking AFA have reported an overall increase in mental alertness, mental stamina, short and long term memory, and problem solving, as well as a greater sense of well-being. We now know why E3Live� is so effective - and for more than just raising energy levels and increasing mental clarity - below you will find an excerpt from the book "Primordial Food" authored by Christian Drapeau, MSc. Mr. Drapeau, a foremost scientist in the study of Aphanizomenon flos-aquae, holds a Masters of Science degree in Neurology and Neurosurgery from the Montreal Neurological Institute, an affiliate of McGill University, Montreal, Canada, and has been extensively involved in the study of nutrition, naturopathy and various natural therapies. Phenylethylamine (PEA) known as the "molecule of love." Beside enhancing concentration and attention, PEA is a natural mood elevator and anti-depressant. But the most extraordinary discovery is the ability of AFA to stimulate stem cell release and migration, making AFA the first natural compound known to stimulate the natural innate phenomenon of healing, regeneration and repair in the human body." Imagine being complimented for the healthy glow of your skin, hair and nails! Statistics show that nearly 183 million Americans are deficient in the vitamins and minerals vital to beautiful skin, hair and nails. 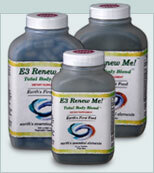 The nutrients present in E3Live� will make your hair, nails and skin beautiful and healthy. It makes sense that if the body needs vitamins and minerals to maintain health, your hair and nails need them also. After all, hair and nails are a part of your body. Like your skin, they express your overall health. E3Live� stimulates hair and nail growth while providing energy and the natural antioxidants that give your skin a younger and more supple look. Not only is E3Live� Aphanizomenon flos-aquae a beneficial whole food supplement, it will compliment other personal care products and can be added to many topically applied skin and hair care products for increased nutrition. VITAMIN B1 - Thiamine 4.70mcg* A protein builder that helps give hair shine, volume and good texture. Enhances circulation to bring nutrients to the scalp and nails. VITAMIN B2 - Riboflavin 57.30mcg* Stimulates health and growth of hair, nails, skin cells. 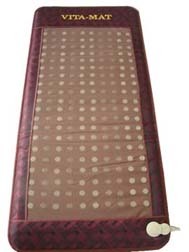 Helps eyes by bringing oxygen to body tissues. 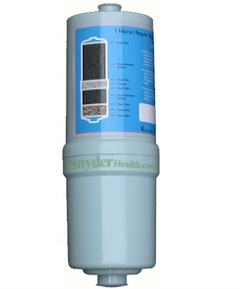 Can help eliminate dandruff. May aid in preventing hair loss. VITAMIN B5 - Pantothenic Acid 130.00mcg* Helps produce full, healthy hair and stronger nails by stimulating vitamin utilization and releasing energy from food. With Folic Acid, it can help to restore your hair's natural color and may aid in preventing hair loss. VITAMIN B6 - Pyridoxine 11.10mcg* Supports the growth of red blood cells that are important for healthy hair, scalp, and nail maintenance. Helps prevent dandruff. 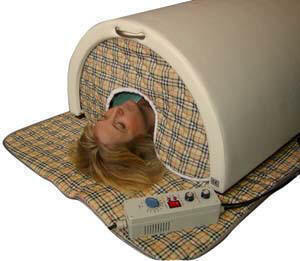 May aid in preventing hair loss. VITAMIN B12 - Cobalamine 8.00mcg* Stimulates health and growth of hair, nails, skin cells. 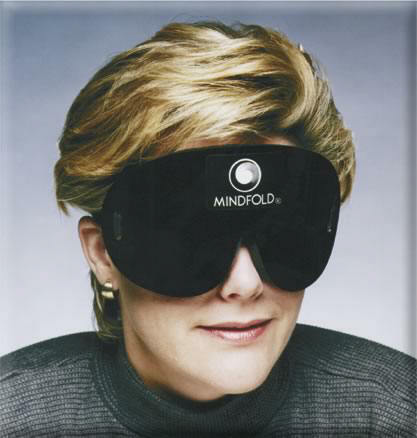 Helps eyes by bringing oxygen to body tissues. Can help eliminate dandruff. May aid in preventing hair loss. VITAMIN C - 6.70mg* Supports hair and nail growth by improving circulation. Useful as treating dandruff. May aid in preventing hair loss. VITAMIN E - Tocopherol 1.70iu* Key to hair health, nail growth and supple skin by supplying oxygen to the body and improving circulation. Helps combat dandruff. May aid in preventing hair loss. SERINE 29.00mg* Serine is needed in the formation of the phospholipids of cell membranes and contributes to "membrane fluidity." It is good for the skin and has even been used as a natural moisturizer in skin creams. **These statements are not evaluated by the U.S. Food & Drug Administration. These products, and the information contained at this website, are not intended to treat, cure or prevent any disease. Results may vary. 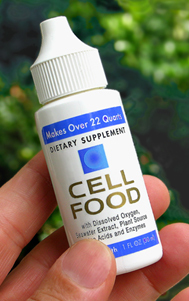 I used to have problems with food allergies, sinus infections, chronic yeast and parasites. I was addicted to laxatives and taking 7 different medications for bipolar disorder. Most days, I could not functions from the side effects. As a result of these anti-depressants, I went from a size 10 to a size 18 in six months. I tried for 2 years to get the weight off. Nothing happened. After just a few days of taking E3Live, I went from being seriously depressed to the world suddenly being a wonderful place. Two weeks later, I had lost 13 pounds, with a total of 40 pounds in 3 months. I haven't been on any medication for depression since. My digestive system now works on its own, and allergies and sinus infections are a thing of the past. At age 57, I was the oldest competitor to have won a U.S. National Tae Kwon Do championship and a gold medal in full-contact sparring at an international championship. Instead of my being an extraordinary exception to the rule, I now know that superior health is available to everyone! E3Live makes a huge impact on my emotional and mental well being. I literally have another youth to live. E3Live is a breakthrough for the modern human being, helping to strengthen us in order to better face today's environmental, emotional and physical stress. E3Live is an important member of my team! We have had excellent results with E3Live in our disease reversal program, specifically with cardiac disease, hyperlipidemia, and diabetes. Within a few days of starting to drink E3Live, my staff and I noticed a leap in our stamina during our workouts, an incredible boost in our mental clarity and ability to stay focused, and a decrease in our appetite. Our patients have commented that they are losing cravings for the bad foods as they continue to drink e3Live. We are amazed and overjoyed at the tremendous results we see with regular use of this live super food. As a clinical nutritionist with over 40 years of experience, I'm impressed and delighted at how E3Live helps such a wide range of health problems. The energetic boost from E3Live is wholesome and lasting, unlike the temporary ups and downs of unhealthy stimulants such as sugar and caffeine. As a physician working with thousands of clients, I find that E3Live helps to restore overall biochemical balance by nourishing the body at the cellular level. 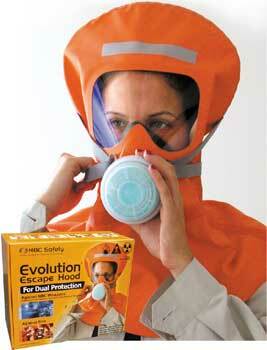 The positive response from the use of E3Live has been extraordinary. 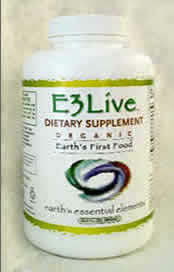 E3Live has the potential to enhance every aspect of our lives - mind, body and soul. A light flavoring of Organic Apple and Lemon resulting in a refreshing citrus taste that isn't overwhelming or over-sweet. You will love it!